Deep in the wooded serenity of 170 acres near Whitesville Kentucky, we continue the Passionist contemplative life begun in Italy by the greatest mystic of the 18th century, St. Paul of the Cross. After founding the Passionist Congregation for men he then founded the Passionist Nuns in 1771. He was driven by a desire to comfort Christ in His sacred Passion and make Him more known and loved by all. Our vocation as Passionist contemplative nuns is one of union with Mary at the foot of the Cross. Our whole life flows from the personal love of Christ for us manifested in His passion, death and resurrection. We seek to comfort Him in His Sacred Passion by loving our Sisters in community life and through Divine Worship. This is expressed most powerfully in our participation in the Holy Mass which is the highpoint of our monastic day. Through this union with our Sacramental Spouse in the Eucharist we are empowered to persevere in this loving union with Christ Crucified. 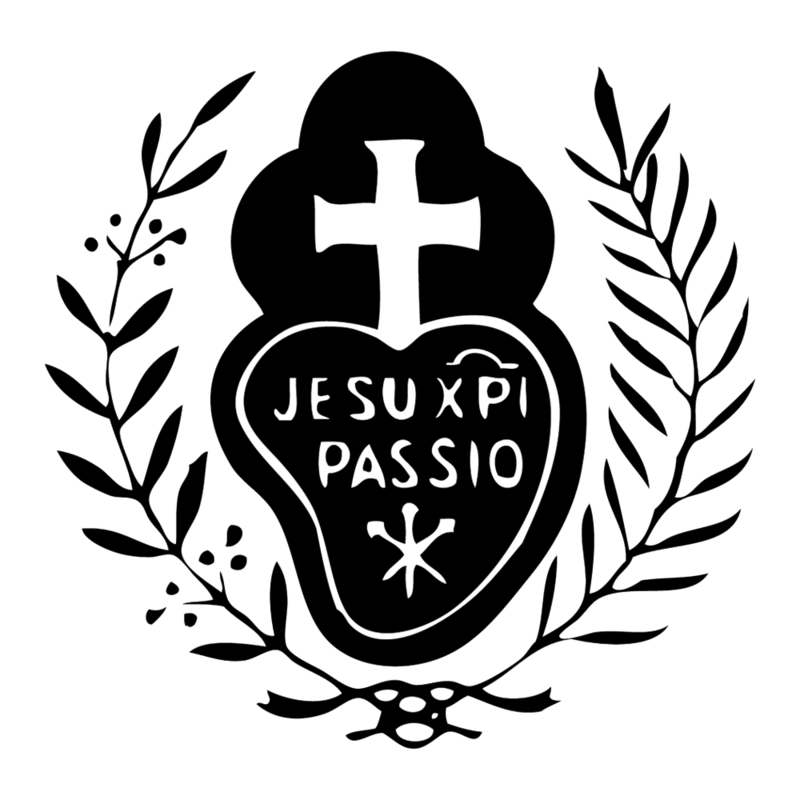 All Passionists make a special vow to promote devotion to and a grateful remembrance of the Passion of Christ. This vow expresses the specific purpose of our Institute and gives inspiration and unity to our lives. We also make the vows of chastity, poverty, obedience, and enclosure. We live our vows in the atmosphere of Christ’s sacrificial love and offer ourselves with Him to the Father for the salvation of our brothers and sisters. In all our life we seek to imitate Our Lady of Sorrows—the Handmaid of Redemption. Our religious habit is a long black tunic with a black leather belt, to which is attached the rosary of Our Lady. Our hair is completely covered by a simple black veil, and we ordinarily wear sandals, although shoes are permitted as needed. On our habit, over the heart, we wear the 'Passion Sign' , the distinctive badge of our Institute. This emblem is a constant reminder to treasure in our hearts, as Mary did, the memory of the Passion of Jesus, and His great love for us. Our Passionist tradition has handed down to us the story of how it was Our Lady herself who gave us our distinctive habit. She appeared to our founder, St. Paul of the Cross, when as a young man he was returning home after receiving Holy Communion. She was dressed in the long black tunic, black veil, and wore on her breast a white cross over the name of Jesus, and she begged Paul to found a community who would mourn with her over the death of her most beloved Son. This 'mourning' to which she calls us is love's exquisite pondering of the mystery of Jesus Crucified, our Beloved. We pray the full Liturgy of the Hours, the official prayer of the Church, which extends the fruits of the Mass throughout the day. This consists in psalms, hymns, scripture readings, readings from the saints and prayers. Although most of our chanting is done in English we do hold the use of Latin in high esteem and incorporate Latin hymns into our Liturgy. We have an hour of prayer in the morning where we come to Jesus in the silence of our cells, the outdoors or before the Blessed Sacrament and spend time with Him alone. Each evening we have exposition of the Blessed Sacrament during Evening Prayer and another hour of private prayer. Our formation program, steeped in sacred Scripture and the mystics, nourishes heart and mind and develops the whole person. During the first three years of initial formation, classes are more intensive and include courses on Scripture, the Catechism, monastic history, liturgy, prayer, and an in-depth study of our Rule and Constitutions. Even after completing our initial formation, we continue to nourish our whole person through independent study and through "ongoing formation” classes for the whole community, often taught by visiting priests or with lectures on DVDs. Study material is by no means limited to the sacred subjects; we also delve into literature, foreign languages, geology, astronomy, history, and much more! Through our monastic life of joyful prayer, penance, silence, solitude, and virtue we enter deeply into the pierced heart of Christ, interceding for the needs of the Church and the world and giving unceasing praise and thanks to the Holy Trinity. We are faithful to the Magisterium and we love being brides of Christ and daughters of the Holy Catholic Church. As “Daughters of the Passion” we dwell on Calvary next to our Sorrowful Mother comforting Christ her Son. "Let them have at heart the conversion of sinners…the sanctification of the neighbor, freedom of souls in purgatory and the exaltation of Holy Mother Church. Let them pray also for the Sovereign Pontiff…and for all evangelical workers… To this end, let them frequently offer to the Eternal Father the Passion of Jesus Christ. This being the very end of the Institude of the Daughters of the Cross and Passion of Jesus Christ."